single .zip file with all songs and cover art. The Greek word anathallo means “To renew, cause to grow, or bloom again,” which is an appropriate umbrella for the band of that name. The band’s music is hard to categorize but yet familiar, experimental yet accessible and often focuses on the themes of renewal and redemption. 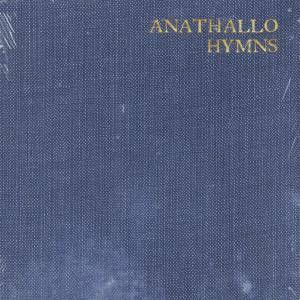 In 2004, the band recorded an EP simply entitled “Hymns,” a surprisingly sparse and traditional take on six hymns. The short release demonstrates the band’s loving attention to detail and the creation of ambiance and emotion, not simply through the lyrics but also the music itself. Incorporating many of the harmonies and odd instrumentations of their other releases the release, for the most part, remains true to the hymns themselves and honoring their content. The presentation is both humble and heartfelt, something missing in many “worship” recordings of late. This was a limited release with all proceeds going to support a homeless mission. It remains out of print (and from what I understand, will not be reprinted) and therefore remains a mystery to many. I was lucky enough to purchase one of the few available copies several months ago and with the band’s permission, I am making the entire release available for download. May these draw you nearer to Christ. Be sure to thank the band for their generosity. Thanks for posting these hymns today. I just happened to be listening to Anathallo and surfing around today on my Monday morning off and you just happened to make the post today. Thanks. Thanks for helping to spread this great EP. Maybe we’ll see another hard copy someday. Trying to find a FLAC copy of this disc. Do you have the original CD? No, I received these songs from another site (as mentioned above). It was a limited release, and to my knowledge, CDs aren’t even available anymore, much lass FLAC copies of the songs. You can feel free to contact Brent Thomas (linked to above) to see if he has an actual copy of the CD. Thanks for commenting though.